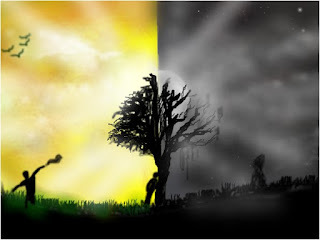 alan hitt: The Good Side and Dark Side of "What Gets Rewarded, Gets Repeated"
The Good Side and Dark Side of "What Gets Rewarded, Gets Repeated"
You've heard it before. What gets rewarded, get repeated. The driver behind this is the reality of positive reinforcement. If you reward a person or group with praise or some material gain for a certain behavior or action, they will want to repeat it. This is great if you are trying to move your team in a new direction. You simply lift up the desired kinds of behaviors and outcomes, and when someone hits the nail on the head, you reward them. Not only will the rewarded one want to repeat his actions, but others will see this and want to join in. This practice of rewarding desired behavior is a powerful leadership tool. But it has a dark side. And I have fallen into it more than once. Very often, new leaders entering an organization and taking the reigns of leadership will very rightly want to earn the trust of the team. There is no easier way to do this than through praise. If you assure a team member that she is on track, they will stay on that track. The problems comes when substantial or even radical change is needed. Then this act of trust-building makes the needed change almost impossible. 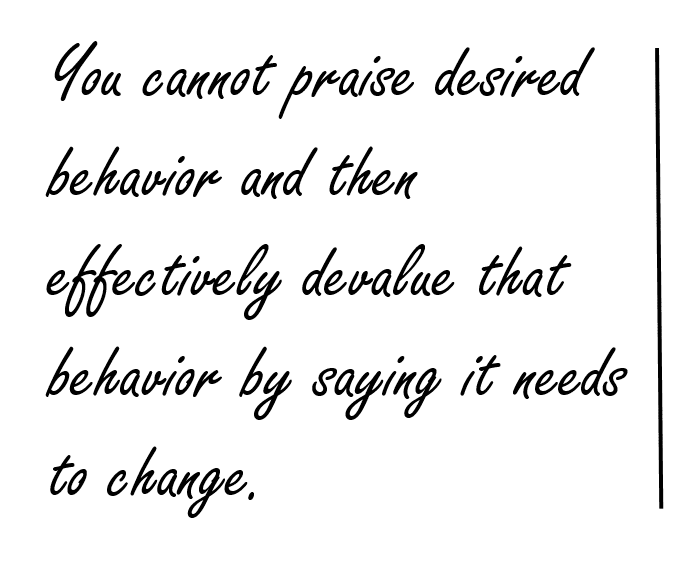 You cannot praise desired behavior and then effectively devalue that behavior by saying it needs to change. This just destroys trust and confidence in leadership. Well-meaning leaders want team members to like them. They want to make sure they have the ear of the team, as well as their support. That's great. But when change is needed, you cannot build trust by creating a false sense of security among team members that the behavior that is making change so crucial is also acceptable. It is not. Every praise of an act, behavior, of language or attitude that reinforces the old model or paradigm is a nail in the coffin of your leadership, unless it is done in memoriam as you cast a new vision. Praising past behaviors for the value they once brought is good, as long as it is clear that such behaviors are not part of the future plan. Author John Ortberg talks about 3 kinds of leaders. There are the graceless truth-tellers. These are those really obnoxious people that team members will run from in order to avoid being steam-rolled. There are gracious truth-avoiders. These are the folks who make everyone feel good while facilitating the spread of dysfunction. Then there are gracious truth-tellers. These are the kinds of leaders needed by a healthy team that make the kinds of changes that breath life back into an organization. So, lead well. Be a gracious truth-teller. And be encouraged!